Most Color Photographs were shot between 1985 and 2006 and are the copyright of Frank X. Didik.. Historic photographs believed to be in the public domain unless otherwise noted. All rights Reserved. The entrance to the largest Borough of New York City. First settled by the Dutch in the late 1600's. 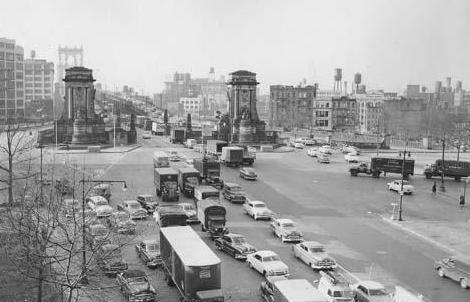 Location and Origin of Name: Bridge Plaza consists of the four blocks immediately to the right (north) of the Manhattan Bridge, bounded by Flatbush Avenue Extension, Tillary Street, Gold Street and Nassau Street. 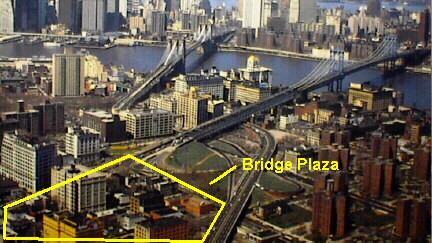 The name "Bridge Plaza" came into use to define the area in the mid 1980's.and is considered a sub-division of the area in Brooklyn commonly referred to as "Downtown Brooklyn". On early maps, the phrase "bridge plaza" is used to define the entrance to the bridge, though it was not used as a proper name. 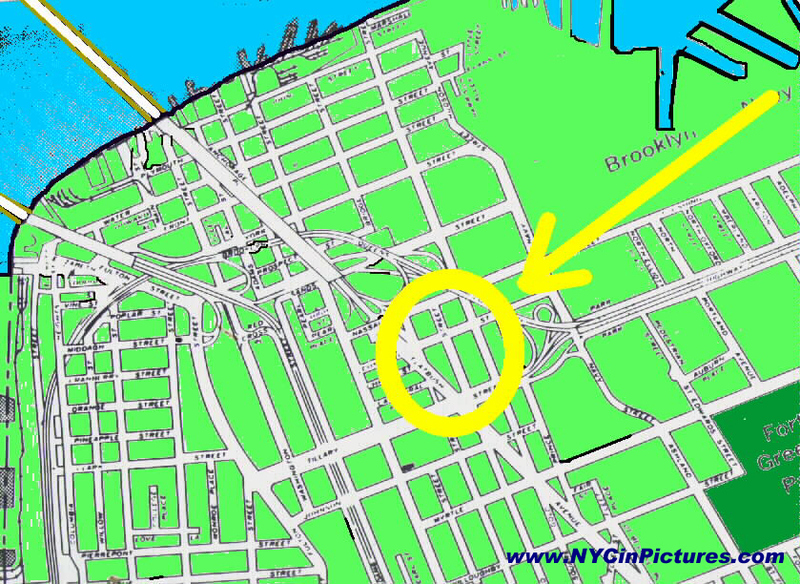 The area shares the same zip code, 11201 as Brooklyn Heights. 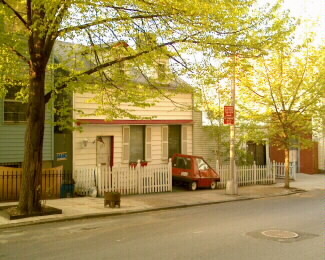 The area was originally established in the early to mid 1800's, though there were a few houses dating back to almost the Dutch times, as well as roads and going from the East River and from Brooklyn Heights to the Navy Yard, which itself was originally started by the British. Bridge Plaza has two high schools including the Science Skills Center High School and the Brooklyn International High School, which are housed in the same building at the corner of Concord Street and Flatbush Avenue Extension (49 Flatbush Avenue Extension). It is interesting to note that this building was the first home of the famous and highly acclaimed Brooklyn Tech High School, which was located at this location from 1923 till 1928. 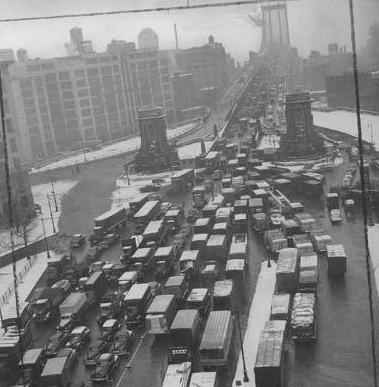 Manhattan Bridge Entrance in the mid 1930's. The traffic is much less today and the area is charming, with trees, flowers, community gardens and parks. Current and old photographs of every building in the area. What strikes most viewers is how run down and bleak the area was 70 years ago. Not a single tree is visible. As all of the city, the streets were still paved with the cobblestone that was used as ballast in ships returning from Europe. As is visible in the early photographs, many buildings are boarded up and some properties appear to be abandoned. Today the area is still plagued with many vacant lots, though with proper re-zoning to medium and high density residential, the area can become a showplace, in the future. Proper civic vision is necessary to make this area the a beautiful entrance to New York's largest Borough. is listed as being the top of the map. Flatbush Avenue - Jay Street Area The area between Flatbush Ave Ext and Jay Street. Not part of Bridge Plaza, though only across the street. see NYCinPictures.com for Manhattan photographs. 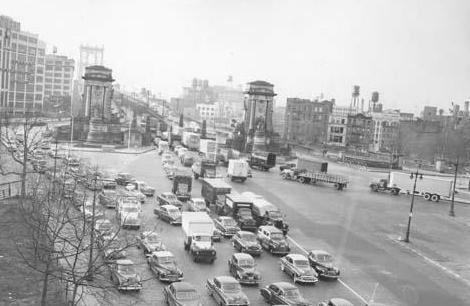 Brief History: Originally, as most of Brooklyn, the area that is now called Bridge Plaza, consisted of farms that were established by the Dutch. Historic records go back to 1692, when the entire region was part of a single farm. Records show that in 1820, the block and lot grid work was established. 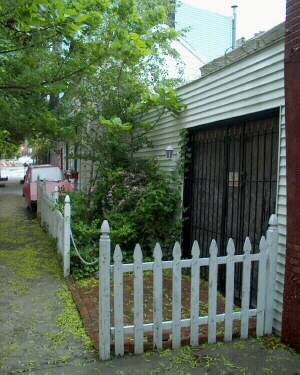 Most of the remaining structures were built from the 1890's to the 1920's. Sadly, many structures were torn down between the 1920's to the present time, leaving a patchwork of vacant lots and small industrial buildings. This website contains many photographs from the 1930's to the present and it is interesting to contemplate the area of the past. 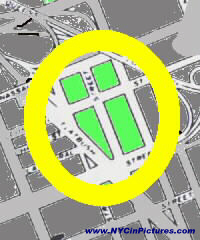 From the 1840's till the turn of the century, the the region, including the Bridge Plaza area was primarily a black area. From the turn of the century till the mid 1940's, the area consisted of recent immigrants, from Italy and Ireland. Early photographs (many of which can be viewed on this website) , show a bleak, sadly rundown area, without trees or plants. 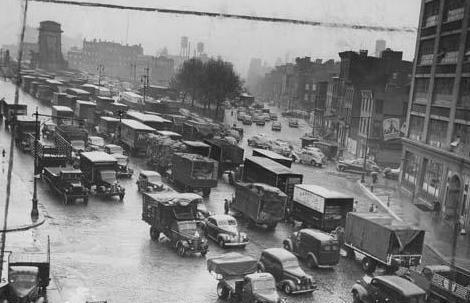 At that time, the streets, as almost all of New York City, was made of cobble stones, which were used as ballast of ships, when they returned from Europe empty, after delivering their cargo of American made goods. 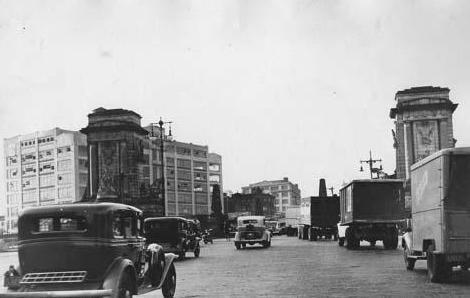 Bridge Plaza in the late 1920's to late 1940's. 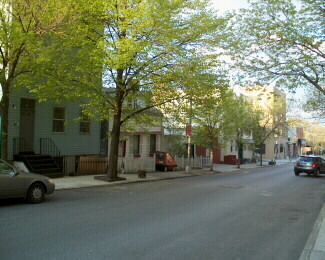 The peaceful residential area is to the east or right of the Manhattan Bridge. Photographs of artifacts found in the area, such as old farm equipment, bottles and similar. WANTED: Copies of early newspapers covering Bridge Plaza area. Most Color Photographs were shot between 1985 and 2006 and are the copyright of Frank X. Didik.. Historic photographs believed to be in the public domain unless otherwise noted.